Emergency Locksmith – on call 24 hrs! · Call out charge? No! Securing your commercial or domestic premises is our priority! IKS Locksmiths Enfield are the specialist locksmiths who can be trusted. We are professional locksmiths operating a 24 hour mobile locksmith services in and around Enfield. We respond quickly and efficiently to security issues in the following areas: Arnos Grove, Botany Bay, Bowes Park, Brimsdown, Bulls Cross, Bush Hill Park, Clay Hill, Cockfosters, Crews Hill, Edmonton, Enfield Chase, Enfield Highway, Enfield Island Village, Enfield Lock. Enfield Town, Enfield Wash, Forty Hill, Freezywater, Grange Park, Hadley Wood, Lower Edmonton, New Southgate, Oakwood, Palmers Green, Ponders End, Southgate, Upper Edmonton and Winchmore Hill. We offer a professional 24 hour mobile locksmith Enfield services for homes and businesses. Our Enfield Locksmiths’ team are wuick to respond to emergency call-outs throughout the Enfield area 24 hours a day, every day and we don’t charge a call out fee. We will ensure you have complete peace of mind whatever your security situation may be. Whether you can’t find your front door keys, have found yourself locked out or have been unfortunate enough to come back to a burglary, please call us and we will respond swiftly. You will find our 24 hour emergency locksmith London service to be quick and efficent. Locksmith Enfield Call out charge? No! Only pay for work completed. We don’t charge for attending your property to quote for work required. So don’t hesitate to contact a professional and qualified locksmith in Enfield, we don’t charge for the Call Out! 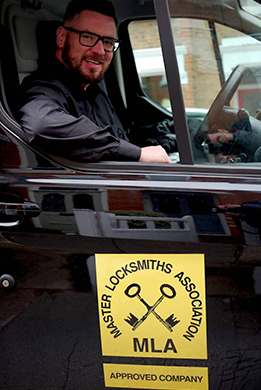 Our Enfield locksmiths professionals are fully qualified and IKS are an approved Master Locksmith Association approved company. We will send a specialist to assess the situation without hesitation once a price has been agreed. As a member of the Master Locksmith Association we must be fully CRB checked. All of our locksmiths in Enfield are fully accredited and CRB Checked. At IKS we have team of Locksmith Enfield Professionals who will are experienced and qualified in a range of locksmith services. We offer a specialist service in locksmithing and deal with everything from repairing locks and emergency lock outs to installing safes and security grilles for windows and doors and even advanced master key suites. We use only the highest quality products available. We offer the following products and services. We value you as a customer which is why your security is of the upmost importance to us. This is why provided a free security survey allowing us to identify any areas that need to be addressed. A survey will enable our expert locksmith in Enfield to recommend security solutions for your individual property. Don’t hesitate to contact us today on 07947 426 981 to discuss any of our locksmith services. One of our Enfield Locksmiths can meet you at your property, whether it be your home or office, and carry out a free security survey. Just let us know when it suits you, we are flexible with timing. Our Enfield Locksmith efficiency, reliability and trust are the basis of our business. You can rely on IKS Locksmiths Enfield in a time of need. We hold ourselves to the highest standard of locksmith knowledge and service and also pride ourselves on our competitive rates. We offer excellent value for money with our fixed price promise. So whether you’ve left your keys on the train at Enfield Town, just got the key to your new house in Hadley Wood or been burgled whilst out at Trent Park we are here to help regardless of the situation or time of the day. You can trust our locksmith Enfield professional team to secure your home.